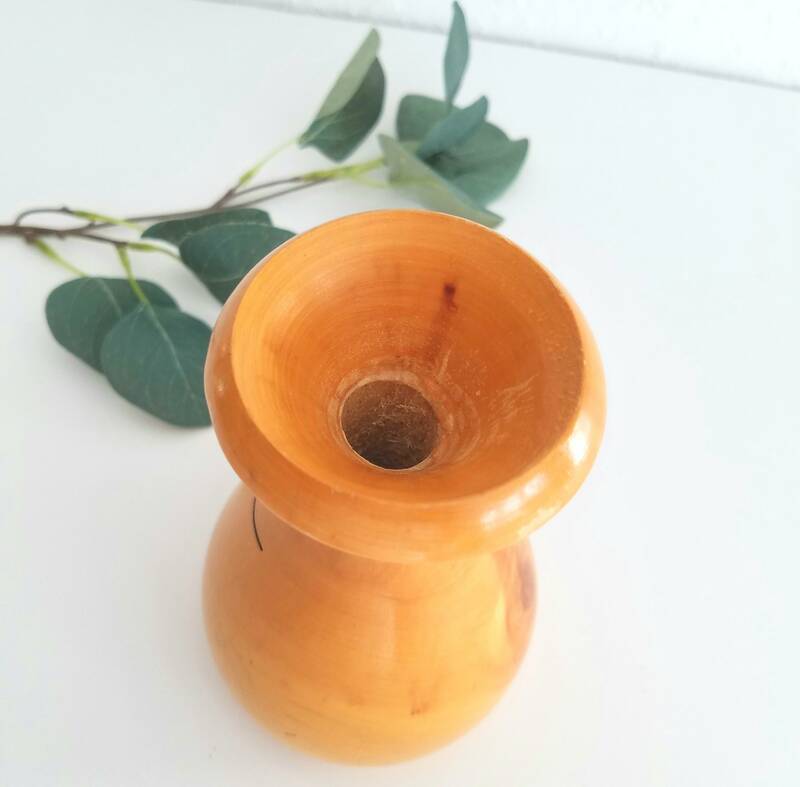 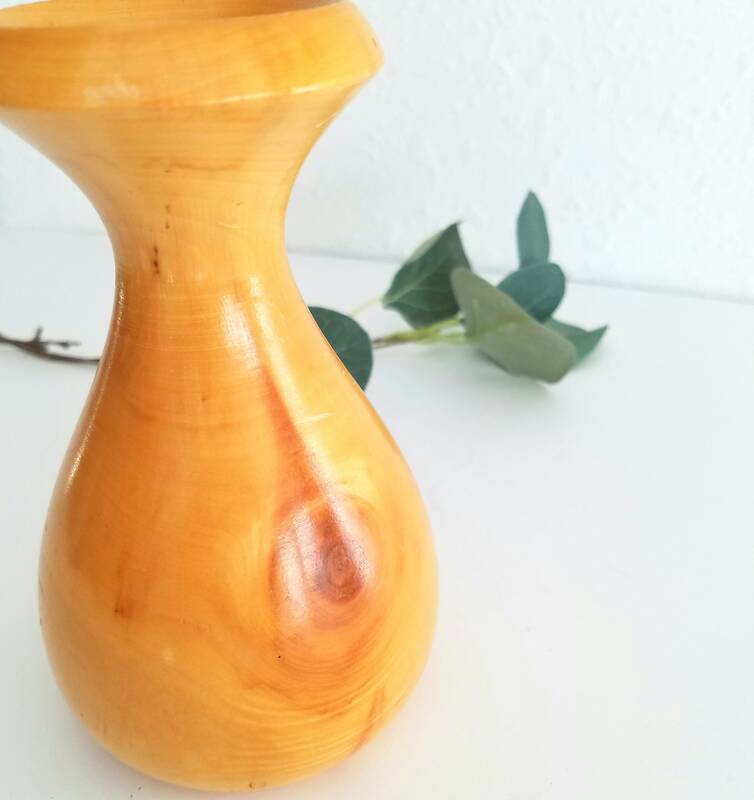 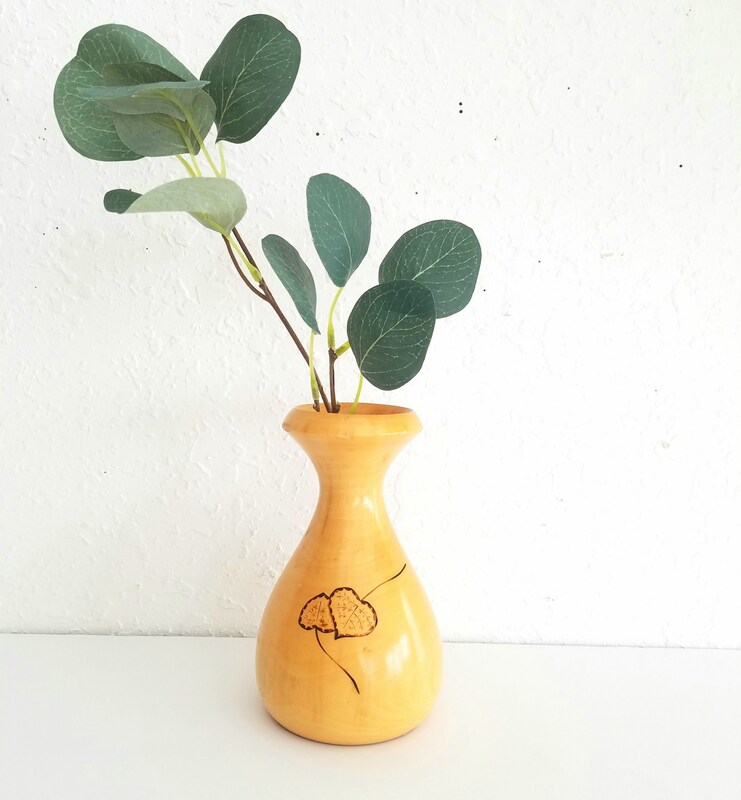 Beautiful small Aspen wood vase from Colorado. 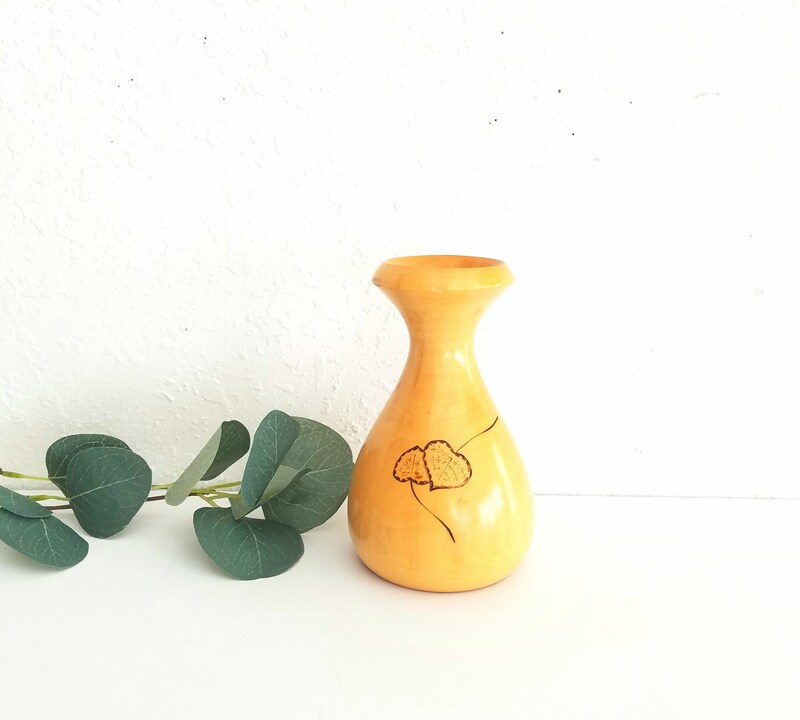 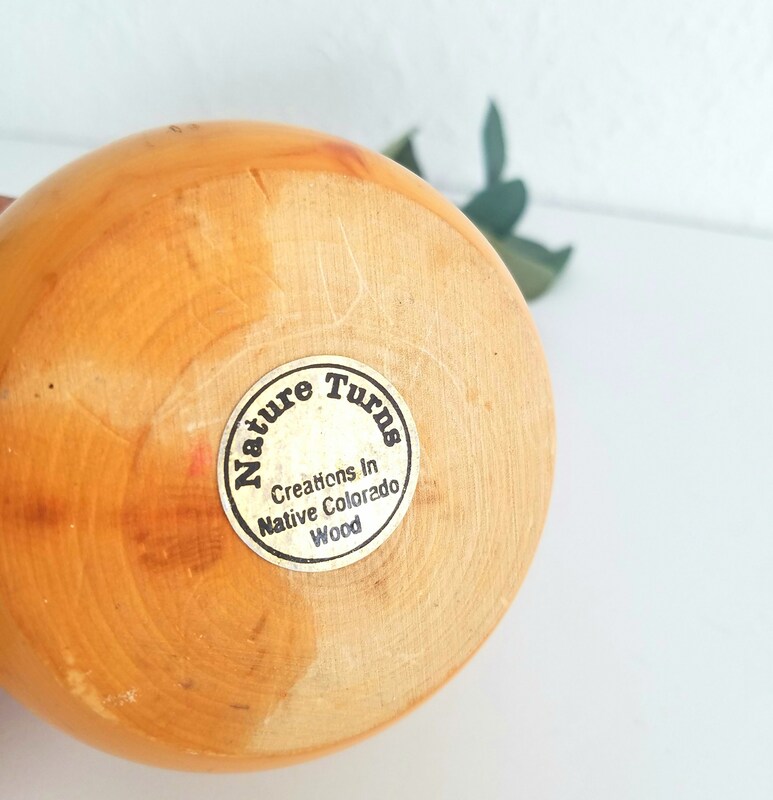 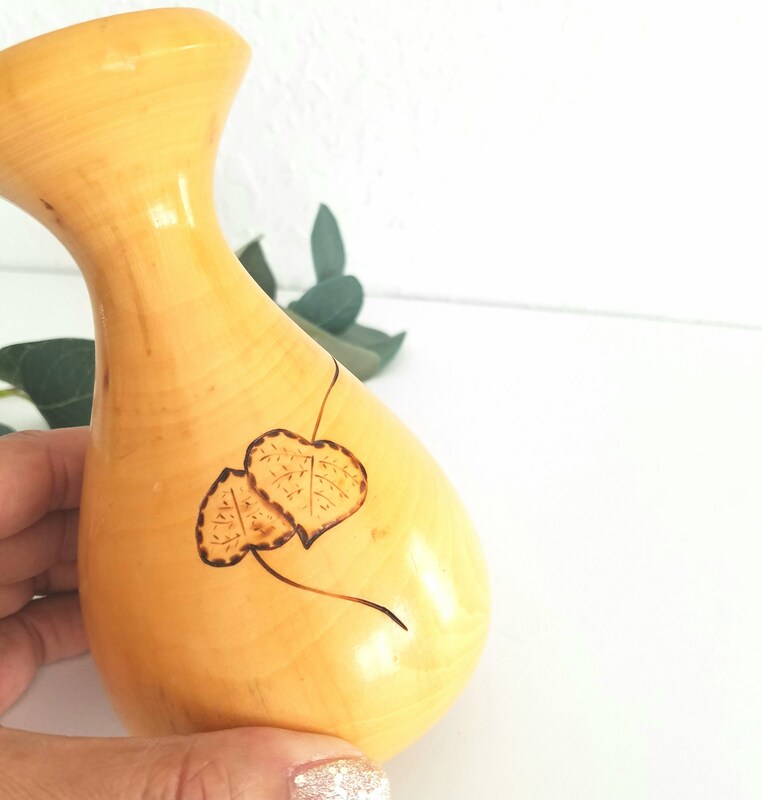 This bud vase has a cute leaf etching on the fron and is in great vintage condition. 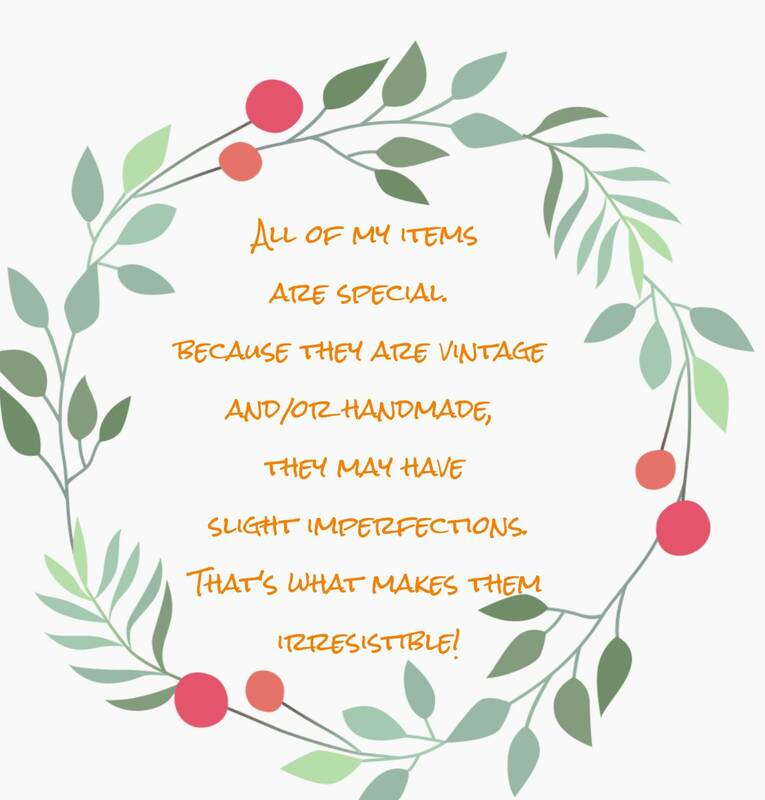 This would make a great holiday gift.